If you are a returning member from the old forums you will need to reset your password in order to log in. Passwords were not converted. New companies in direct selling start with developing their product, their commission plan, and their founding distributors. The next big requirement to starting your business is to get credit card processing. You can only work with cash payments for a short time before you realize there is a need for electronic payments. A few questions might come up. How do I get a merchant account and credit card processing gateway? How long does it take to set them up? How many do I need in order to work in multiple countries? To begin earning revenue as a company, it is important to work with your software provider to connect your commissioning engine, order processing, fulfillment, and returns systems to your merchant account. I recently had a conversation with Glen Rawlins, a merchant processing and fraud monitoring consultant who works with startups and companies seeking to expand internationally. When fraud happens, you often do not learn about the fraud until up to six weeks later when a chargeback occurs. A fraudster can take a half a million dollars before you realize you have been hit. Most startup companies cannot afford even $50,000 in fraud let alone $500,000. Unfortunately, fraud is on the rise in the direct sales industry. 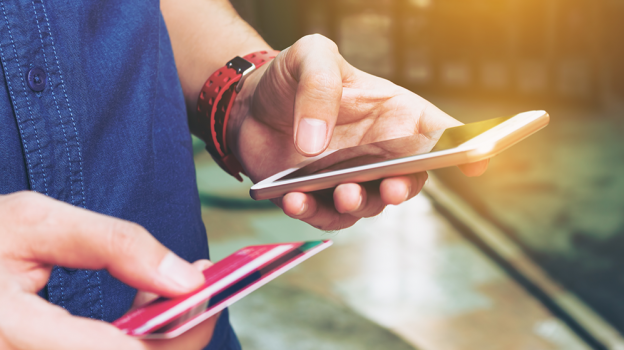 Fraudsters have figured out that they can purchase your companies’ product at a lower price on eBay and earn commission on the purchases using stolen credit cards. They can do this without setting a foot out the door. Because of the rising incidence of fraud in the industry, Glen Rawlins highly recommends that executives consider advanced policies, procedures, fraud monitoring, and fraud detection systems that include Device ID (examples: www.kount.com, www.ThreatMetrix.com) essential. Some processors are starting to integrate advanced fraud detection systems. Most companies are unaware of the complexity involved in integrating these systems and thus have no idea how to tighten the barrier between themselves and fraud. Glen recommends his clients implement a system that allows them to use a review queue for questionable transactions, instead of just a pass/fail. The process of implementing Glen’s recommended configuration for credit card processors and gateways to serve multiple countries can take one to six months depending on the complexity of your system. Having been a direct selling software developer for 35 years, he also has key insights and experience in connecting these processing systems with multiple current direct selling software vendors. Many people also forget that they will most likely need to process checks. Online check processing is called ACH. It is a great way to process orders online, over the phone, and much more. These services are available to distributors to pay by online check if they prefer (e.g. www.vericheck.com). It takes an additional three business days to see if a check clears, but it can reduce your cost of processing the orders, and you can pass part of the savings on the distributors and customers. In conclusion, it is important for every new startup to understand the delicate nature of their merchant account and ACH processing in a world full of fraud risk and online orders. Having an expert to guide you can save you weeks if not months or even possibly years with the wrong solution. If you are seeking help as you get secure merchant account processing and fraud detection software, consider reaching out to Glen Rawlins for assistance. His contact information can be found on his author page. At MLM.com we’re always looking for fresh voices. We strive to release fair and balanced quality content, with self-improvement and the improvement of the industry in mind. If you know this industry and want your voice heard, use the form below to submit your proposal for an article, opinion piece, or review. We’d love to hear from you! Give us your contact information and we'll be in touch. Give us a short description or outline of the article you’d like to write. delivered to your inbox each month. MLM.com is wholly owned and published by InfoTrax Systems. The opinions expressed by bloggers and forum participants are their own and not the responsibility of InfoTrax Systems, its employees or management team. MLM.com makes every effort to monitor the content of this site but does not warrant or endorse any company, individual or their opinions expressed herein. MLM.com encourages lively conversation and debate but prohibits any disparaging of individuals or institutions, except as appropriate in professional criticism and reportage. Report any abuses you suspect to MLM.com.